It may not seem like it now, with the weather that decides to change its groove each day, but summer is just around the corner. What does that mean? It’s beach time! Sure, cliché and corny as it may be, but higher temperatures definitely mean beach days are needed. After all, vitamin D is good for your health and the water is the quickest way to cool off in scorching temperatures. The one downside to the excitement: being beach ready…well, beach body ready that is. 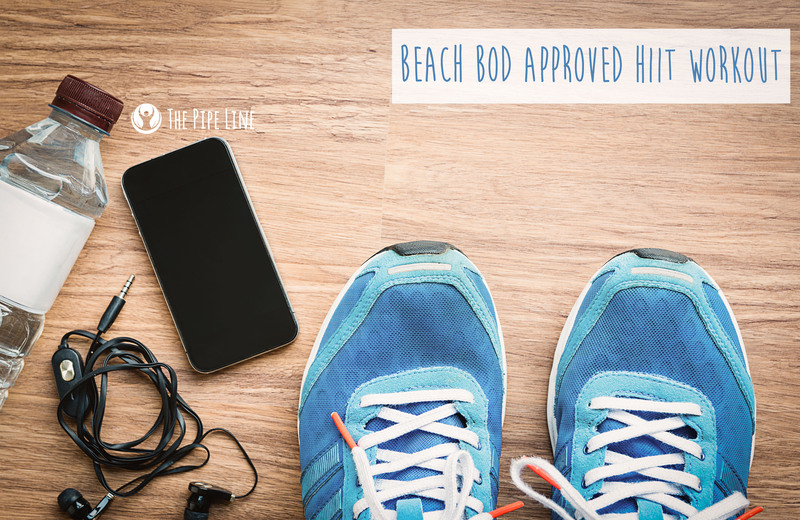 But that’s where this article comes in handy, we’ve gathered a quick HIIT work out that will help you get suited for the beach and not kill your time bank! For those unfamiliar with HIIT workouts, this acronym stands for High Intensity Interval Training and works to increase heart rate while burning fat in a short time span. It consists of repeating a set of specified exercises in usually less than 30 minutes. The best part? You can choose the areas you’d like to target: legs, abs, arms, etc. Customization is one key component of this workout. With that said, to help prep for your workout session, grab a bottle of our Amino Energy Powder (Pre Workout) Tropical Fruit Punch! It tastes great and will help prep your body for the killer workout you’re about to do. 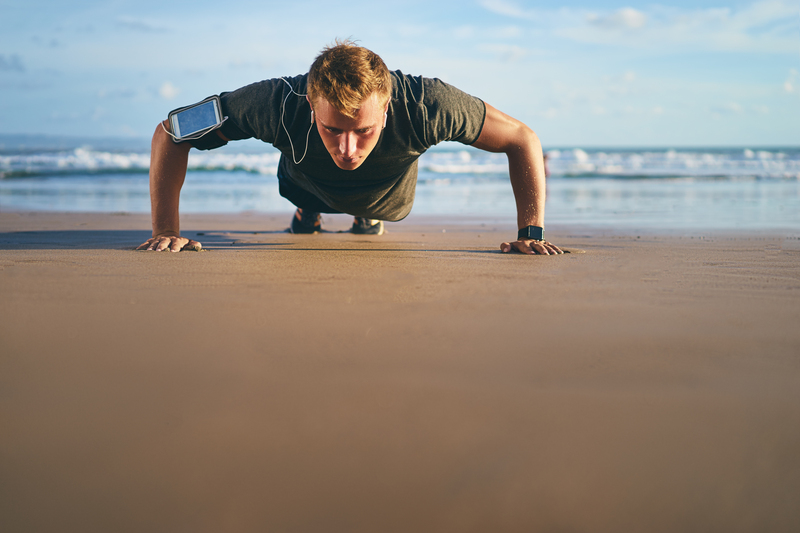 We took some move inspiration from the folks over at Men’s Fitness (since they have the knowledge to provide a safe work out) and put together what we think is a pretty great HIIT workout you’ll love–i.e: we tried it. 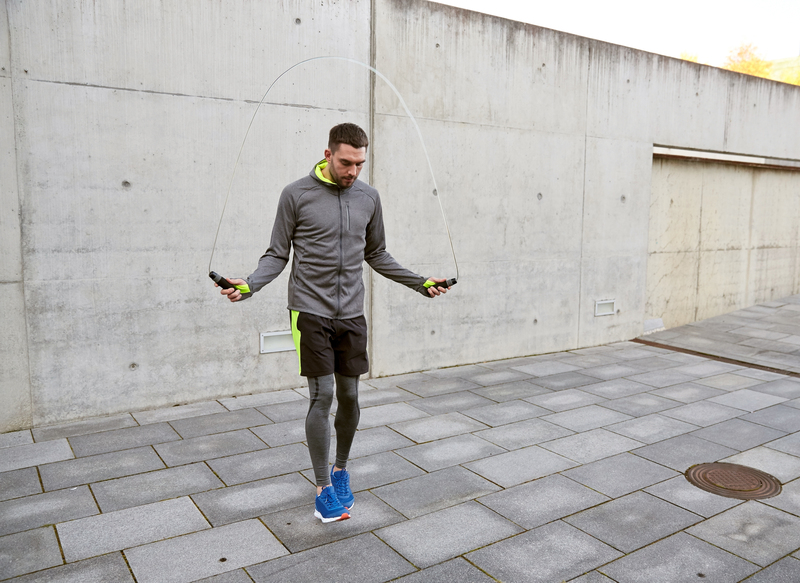 Repeat the above four times with 1 minute resting period after you finish jump roping. Don’t overexert yourself and make sure to drink plenty of water. Rome wasn’t built in a day, and the same goes for your six pack. While we’re sure you’re amped and ready to start working out today, please make sure to carefully read all product warnings before using our Amino Energy Protein Powder and consult your doctor before beginning any workout routine.